The Get Window 10 App walks your through the process of reserving your free Windows 10 upgrade copy. Earlier today Microsoft announced that the global launch date of Windows 10 will be on July 29th 2015. However, if you are running a genuine license of Windows 7 or Windows 8.1, you will be able to reserve your free upgrade to the next generation of Windows using the Get Windows 10 App today. This app is designed to streamline your upgrade process by making sure your device is compatible, reserving your free upgrade and scheduling a convenient install time. It also has information to help you learn about the features in Windows 10. Read on to find out how to use the Get Windows 10 app to reserve your free upgrade to Windows 10 and be first in line as soon as it is available. 1. For devices running Windows 7 SP1 or Windows 8.1 Update with Windows Update enabled, the Get Windows 10 app shows up automatically as a Windows icon in your system tray at the bottom right-hand side of your screen. If the icon doesn’t not show up, manually update your Windows PC by going to Settings > Check for Updates. Update Windows 7 or Windows 8.1 to show this Windows icon the task bar. 2. Click on this Windows Icon to bring up upgrade menu GUI (Graphical Menu Interface) of the Get Windows 10 app. 3. The app will walk you through some of the key features of the Windows 10 upgrade. 4. After clicking on “Reserve your free upgrade”, you will then be asked to enter an email to receive conformation. Once the upgrade is available, Windows 10 will be downloaded to your device and you will receive a notification that it is ready to install at a time convenient to you. NOTE: If you are on Windows 8.1, you can set your PC to only download updates when using a non-metered connection (for example tethering to a smartphone is a metered connection). The Windows 10 download file will be approximately 3GB in size. Enter your email address as shown. Windows 10 will automatically install when the update is released. Follow Techweez for in depth articles on the new features coming to Windows 10. Well, when was the last time you installed updates on your computer? Open Windows Update and make sure all the latest updates have been installed. 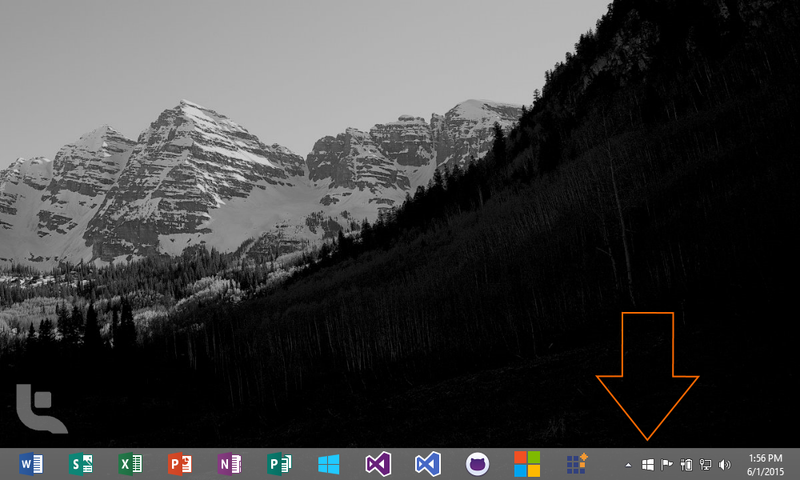 You won’t need to do a thing after that as the Get Windows icon will show up on your task bar.